It is so precious to life. How can life sustain itself without water? Yet did you know that water can be affected by our emotions, by our thoughts? And water can send us messages? 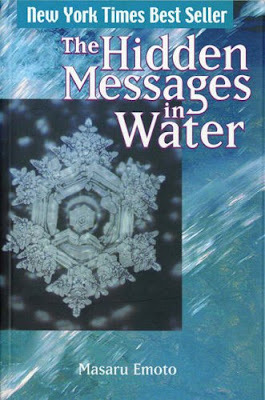 As unbelievable as it may sound, that was what Dr Masaru Emoto, a Japanese researcher and author claimed in his incredible book “The Hidden Messages In Water”. I happened to stumble upon this book in MPH and was thoroughly fascinated by what was written inside! Searching on the Internet revealed large number of websites on this topic. 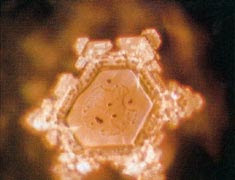 From Dr Emoto’s work, we are provided with factual evidence that human vibrational energy, thoughts, words and music can affect the molecular structure of water. Don't believe me? Continue reading. As you know, snow has been falling on the earth for possibly more than hundreds of millions of years. 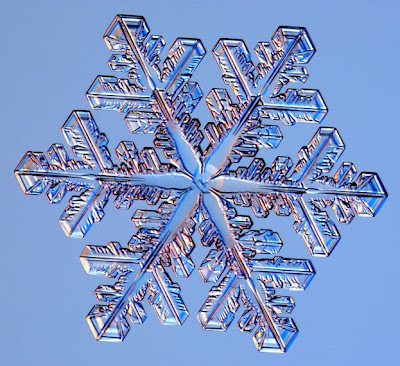 Each snowflake, we have been told, has a very unique shape and structure. No two snowflakes are ever alike! 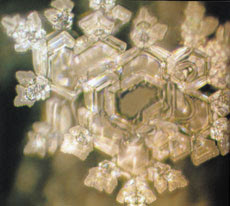 Inspired by snowflakes, Dr Emoto decided to experiment freezing water and taking photograph of its molecular structure. What he discovered was so amazing it stunned the world. Watch the video here to see how frozen water crystals are photographed. There were many fascinating differences in water crystals from different sources and environment. 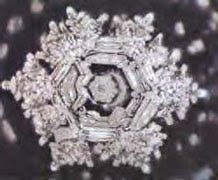 Water from mountain streams and springs show the beautifully formed geometric designs in their crystalline patterns. 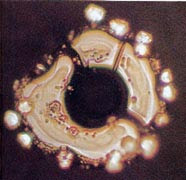 Polluted and toxic water from industrial and populated areas show distorted and randomly formed crystalline structures. This is from Japan's Shimanto River, which is known as the last clean stream in Japan. This is from Biwako Lake in Japan, where pollution is getting worse. Look at the poorly formed crystal structure. 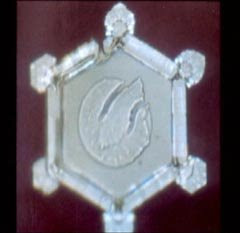 The beautifully formed crystal from the famous fountain in Lourdes, France which is known for its healing properties. Crystal from Mount Cook Glacier in New Zealand. 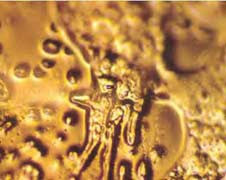 Distorted crystal from heavily polluted Yodo River in Japan which passes through most major cities in Kasai. Now maybe we can accept that the pollutants in the water could possibly affect the molecular structure of water, but what Dr Emoto did next took my breath away! He exposed water to different kinds of music and the water responded accordingly! 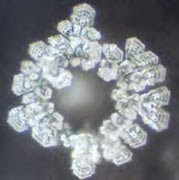 By placing distilled water between two speakers for several hours and then photographing the crystals that formed after the water was frozen, Dr Emoto produced the following amazing photos. Bach's Air on the G String gives the impression that the crystal is dancing merrily! Soothing Mozart's symphony created this beautiful soothing crystal. Whereas heavy metal music resulted in this disastrous structure! The beautiful crystal from water exposed to the Tibet Sutra which talk to people's souls and has a strong positive energy that can heal people's feelings. Some of you may think that maybe it’s not so unusual that music can have an effect on water as music could generate some coherent vibrations in the water that influence the crystallization process. Well, maybe. But here’s the shocking stunner! 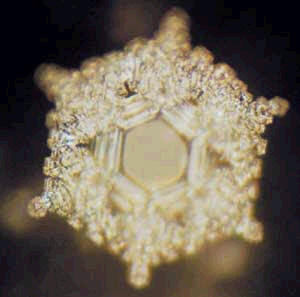 Dr Emoto proved that water can even respond to words! It did not matter which language he used, whether it's English, Japanese or Korean, they all gave the same results! He did this by typing words onto paper and then taping the paper onto glass bottles (filled with distilled water) overnight. You make me sick, I will kill you! Even deceased persons' names can affect the molecular structure of water. Look at these! Guess what? Even our thoughts and intentions can also affect water. Look at these two photos. This is polluted water from Fujiwara Dam in Japan before a prayer is offered. And this is the same water from Fujiwara Dam after a Buddhist prayer is offered! Astonished? What do all these mean? These photographs show that water is alive and highly responsive to every one of our emotions and thoughts. It means that thoughts and feelings can affect physical reality! 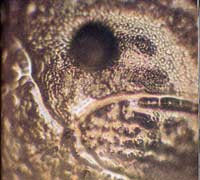 By producing different focused intention through written and spoken words and music and literally presenting it to the same water samples, the water appears to “change its expression”. Awesome! But where is the scientific explanation for this? 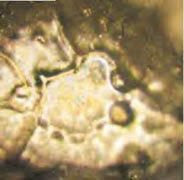 Dr Emoto believes that hado or chi is at work here. 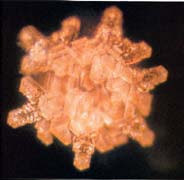 Hado is the intrinsic vibrational pattern at the atomic level in all matter, the smallest unit of energy. Its basis is the energy of human consciousness. 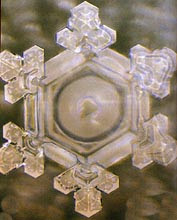 Dr Emoto thinks that hado changes according to the consciousness of the observer, in other words, the way we see things. Since human is 70% water, could it mean that what we think creates our reality, not just emotionally but physically? And since the planet is also 70% water, would this discovery have profound implications for the environment? Put it another way, could we 'think' a polluted stream clean again? I don't know about you, but I just find it impossible to read this book and come away without being affected. 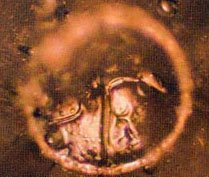 I really think this discovery by Dr Emoto should be thoroughly investigated since it may have large implications to human health and the entire planet earth. what a thought provoking book. I'll definitely check it out when I visit MPH. Wow, these are amazing! Thanks for sharing this. I'll have to see if the library carries this book. it's amazing and something very new to me! u really did a good research! well done! Wow! Now I know. Waters are indeed alive. =) Will search for this book! i also find this very interesting my friend has the book! i love the different shapes! PC, a really thought provoking post! Now I'm wondering if my moods (e.g. preference for a particular kind of music at a point in time) are a reflection of the water vibration within me? Its no wonder then when the Mythbusters exposed some plants to heavy metal music, it practically killed them! interesting and the pictures are so intriguing too! lina, yes do check the book out. It's a good read. strawberry anarchy, the crystals are fascinating. center parted, you may have a point there. It's possible the heavy music killed the plants. eiling, yes the photos of the crystals are intriguing indeed. I drink lots and lots of water everyday!! !...Was tolf to drink filtered water. Not tap water cos of the presence of chlorine...and not the ionised one which is devoid of all essential minerals taht the body needs (Too clean). True or not? tats incredible knowledge! simply amazing..
suituapui, filtered water is definitely better than tap water. As for ionised water and reverse osmosis, although you don't get the minerals, you can always get most of your minerals from the food you eat, so not really a problem there. I've read about the effect of water in different coloured containers and letting them be energised by sunlight. I've also read about vibes, but this is totally new to me. Thanks for sharing this insight, Foong. Amazing piece of finding! Now we know that water is a living thing. jam, it's amazing, isn't it? 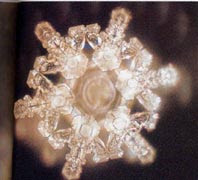 Dr. Emoto is a genius. Can you imaging what our emotions due to the water in our body. We are 90% water. Think about it.